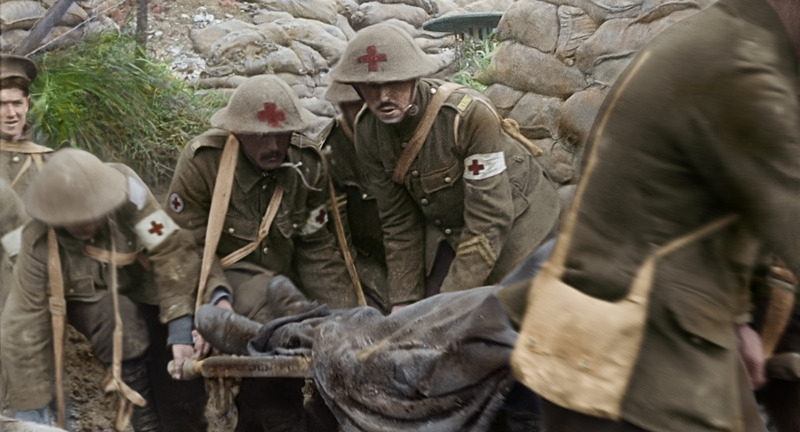 The World War One documentary They Shall Not Grow Old, directed by Peter Jackson and reviving archived footage in 3D and color, has so far seem two highly successful Fathom Events. The first on December 17 grosses over $2 million and the second on December 27 over $3 million. With a total revenue of $5.7 million, They Shall Not Grow Old became the highest-grossing Fathom Event to date Previous events such as Dragon Ball Z: Resurrection and Dr. Who, The Day of the Doctor reached over $4 million. Now, Warner Bros has decided to follow up on the immense response. Originally, a limited release was planned in New York, Los Angeles, and Washington, DC for January 11 with an expansion to 25 markets on February 1. However, Warner has since decided to adjust those plans and add another nationwide Fathom event followed by a limited release in over 150 markets. Tickets have already gone on sale for the third Fathom Event on January 21st, with over 1000 theaters participating. As with the original two Fathom Events, there will be both 2D and 3D showtimes which vary by theater. Showtimes and tickets for the 01/21 Fathom Event can be found on the Fathom Event website. As for the February 2nd release, tickets are not on sale yet and we expect that Warner Bros. may even decide to go beyond 150 depending on the success of the January 21st event. They Shall Not Grow Old opened in the UK in November, where it currently is still playing in some cinemas. Jackson considers the film his “most personal”, in part due to his grandfather’s own service in World War One. All footage, now improved, has been donated back to the Imperial War Museum. Image: Imperial War Museum / Wingnut Films / Fathom Events / Warner Bros.